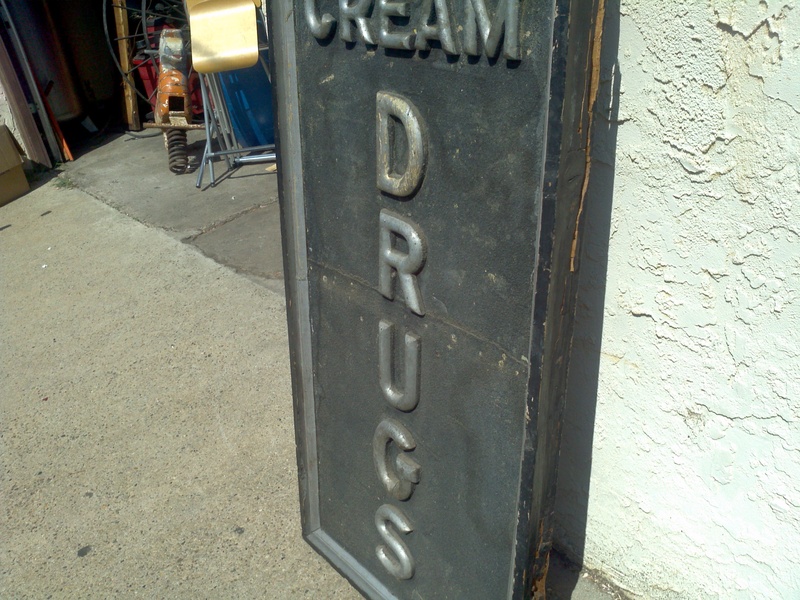 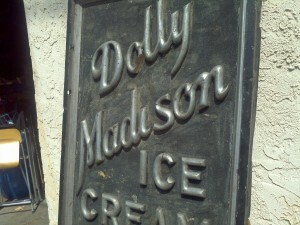 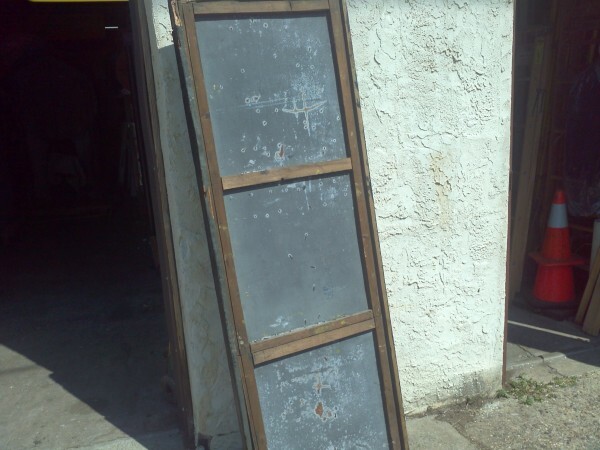 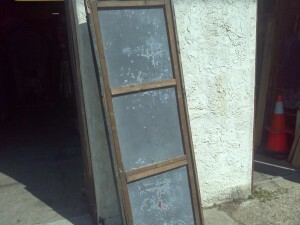 Old 1920’s antique wooden Dolly Madison Drug Store sign in as found condition measuring 26″ x 74″. 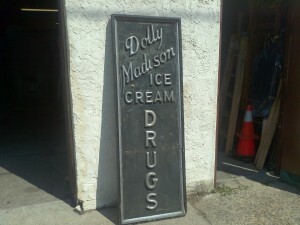 Sign contains a wooden frame, metal backing and carved wood letters. 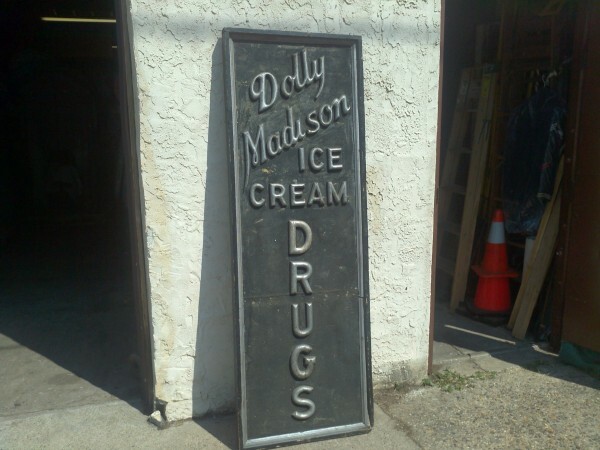 The “O” in Dolly is missing the lower portion of the letter, otherwise the sign is in good condition for it’s age. Interesting sign for any advertising collection……….